If you want to stay in a more private area in Boracay, consider looking for Boracay Station 1 hotels on the far side in Diniwid Beach. This area is located on the far right if White Beach if you are facing the ocean. Most resorts in this area are a bit more pricey than those found in other parts of White Beach but they also provide more privacy and better accommodations for discriminating clients who prefer quality over low priced hotels. Microtel Inn and Suites is a mid-range to higher-end hotel right on the beachfront that is equipped with handicap access, its own restaurant, a swimming pool next to the beach, Wi-Fi and even a meeting room. They even offer unlimited coffee in the lobby for hotel guests. The beach is less populated since the hotel is located on the far side of White Beach, quite a distance from cheaper hotels and commercial establishments. Although it is remote from busier areas on the island, transportation is still available outside the hotel which can take guests to the center of town when necessary. 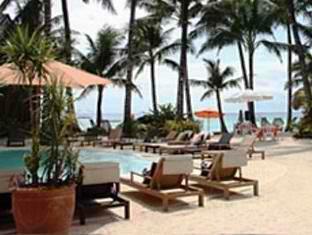 Diniwid Beach is located on the edge or past Boracay Station 1 hotels on White Beach. There are two ways to get the Boracay hotels in Diniwid which involves either walking along White Beach towards Station 1 or taking a trike to Diniwid Beach. If you are into luxury, comfort and extremely good food and service, you might want to consider booking a room at the luxurious Nami Resort Boracay. The resort is located on an elevated portion of Diniwid beach. An elevator takes guests from the main hotel facility down to the beach. All rooms are air-conditioned with balconies, cable TV, jacuzzi, a king sized bed, coffee or tea maker, hair dryer, mini bar, it’s own toilet and bath, and telephone. Guests can choose from 3 rooms: the DeLuxe Beach View, Suite Ocean View, and the luxurious and spacious One Bedroom Suite. 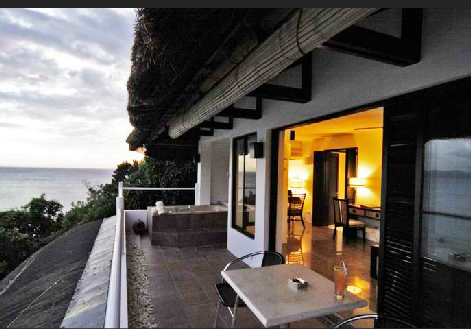 Rooms have views of the Sibuyan Sea and mountains of Boracay island. 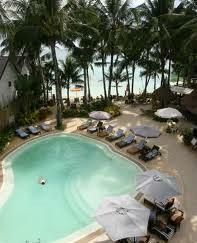 Of all the Boracay hotels that offer luxury amenities, the Nami Resort Boracay is unique in it’s service. It is the only beach resort on the island that offers a personal butler service to guests. The hotel also offers spa and massage services, water sports activities, island tours, and baby sitting services among others. It has it’s own restaurant and bar on the premises.